People have been speculating for months about whether or not Joe Biden will run for president. According to CNN, a senior Democrat reported that on Tuesday that Biden received a "blessing" for a 2016 run from his boss, President Barack Obama. Biden's been hinting at a campaign, but hasn't really offered anyone an clear answer. Among gay marriage, abortion, the economy, and gun control, marijuana legalization is a major issue right now for presidential candidates. If he does run, how would Joe Biden's stance on weed impact marijuana laws in the United States during a theoretical Biden presidency? I think the idea of focusing significant resources on interdicting or convicting people for smoking marijuana is a waste of our resources. That’s different than [legalization]. Our policy for our Administration [the Obama Administration] is still not legalization, and that is [and] continues to be our policy. 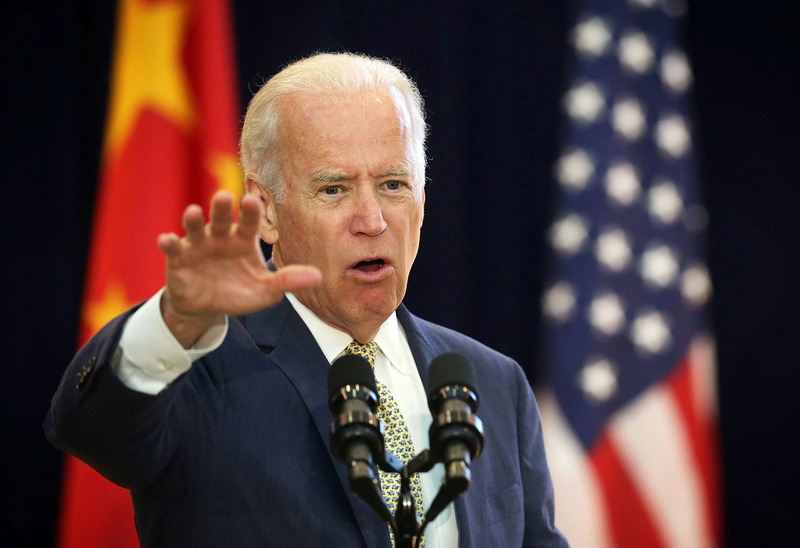 Additionally, Biden reportedly believes that marijuana is a gateway drug, a common reason politicians cite for their opposition to the substance. In 2010, when conservative Christian Pat Robertson said legalizing marijuana would be a good thing, Biden replied, "I still believe it's a gateway drug. I've spent a lot of my life as chairman of the Judiciary Committee dealing with this. I think it would be a mistake to legalize." There are not many friends to legalization in this administration. The vice president has a special interest in this issue. As long as he is vice president, we're very far off from legalization being a reality. Sabet might be on to something. When it comes to legislation, in general Biden has a history of being pretty strict — he was a major force behind the Democrat's war against drugs. According to The Huffington Post, while a senator in the late '80s, Biden was central in creating the Drug Czar's office. He also supported strict mandatory minimum sentencing policies but, more recently, has backed laws that scale these back. How does he compare to his potential democratic competitors? Hillary Clinton's stance isn't quite clear, but she told CNN's Christiane Amanpour she wanted to "wait and see" what happens with legalization of marijuana in individual states before moving to a federal level. Bernie Sanders' has said he wants to decriminalize marijuana, and like Clinton, says he's looking to states like Colorado that have legalized the drug to see its impact. With the legalization in some states and growing public support, marijuana is going to be a major issue in the 2016 election. Biden's stance is somewhat murky, but if he officially runs, hopefully he will reveal more.